Double sided porta board sign. 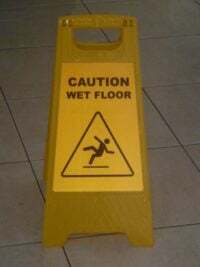 These are custom made from wet floor sign stands. Note: May fall over if used in strong windy conditions. 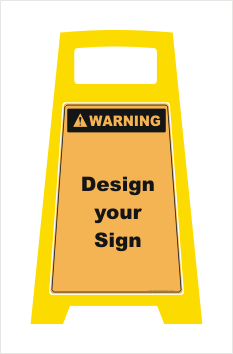 Design your own Porta Board Floor Stand Warning Sign. 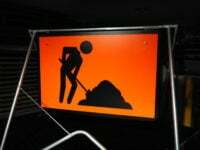 These Portable safety signs can be very handy in helping advise people of the potential hazard here or ahead. Of course, nothing beats a proper large sign attached to a wall etc. or on a swing stand (see here) and these Porta Boards should just be used as an extra advisory. Also be aware that these are light and may blow over in windy conditions. Just type your text into the text box and we will do the rest. Contact us HERE for more information.